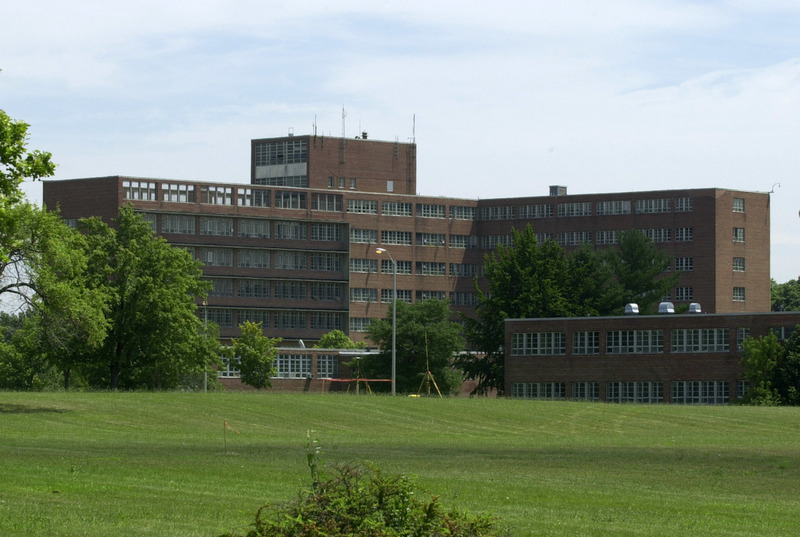 How The Loss Of U.S. Psychiatric Hospitals Led To A Mental Health Crisis The evaporation of long-term psychiatric facilities in the U.S. has escalated over the past decade, sparked by a trend toward deinstitutionalization of mental health patients in the 1950s and '60s. When the Northville Psychiatric Hospital closed, many of the patients either had to leave southeast Michigan for hospitals elsewhere in the state or ended up in community programs that haven't always met their needs, an advocacy group says. A severe shortage of inpatient care for people with mental illness is amounting to a public health crisis, as the number of individuals struggling with a range of psychiatric problems continues to rise. The revelation that the gunman in the Sutherland Springs, Texas, church shooting escaped from a psychiatric hospital in 2012 is renewing concerns about the state of mental health care in this country. A study published in the journal Psychiatric Services estimates 3.4 percent of Americans — more than 8 million people — suffer from serious psychological problems. The disappearance of long-term-care facilities and psychiatric beds has escalated over the past decade, sparked by a trend toward deinstitutionalization of psychiatric patients in the 1950s and '60s, says Dominic Sisti, director of the Scattergood Program for Applied Ethics of Behavioral Health Care at the University of Pennsylvania. "State hospitals began to realize that individuals who were there probably could do well in the community," he tells Here & Now's Jeremy Hobson. "It was well-intended, but what I believe happened over the past 50 years is that there's been such an evaporation of psychiatric therapeutic spaces that now we lack a sufficient number of psychiatric beds." A concerted effort to grow community-based care options that were less restrictive grew out of the civil rights movement and a series of scandals due to the lack of oversight in psychiatric care, Sisti says. While those efforts have been successful for many, a significant group of people who require structured inpatient care can't get it, often because of funding issues. A 2012 report by the Treatment Advocacy Center, a nonprofit organization that works to remove treatment barriers for people with mental illness, found the number of psychiatric beds decreased by 14 percent from 2005 to 2010. That year, there were 50,509 state psychiatric beds, meaning there were only 14 beds available per 100,000 people. "Many times individuals who really do require intensive psychiatric care find themselves homeless or more and more in prison," Sisti says. "Much of our mental health care now for individuals with serious mental illness has been shifted to correctional facilities." The percentage of people with serious mental illness in prisons rose from .7 percent in 1880 to 21 percent in 2005, according to the Center for Prisoner Health and Human Rights. Many of the private mental health hospitals still in operation do not accept insurance and can cost upwards of $30,000 per month, Sisti says. For many low-income patients, Medicaid is the only path to mental health care, but a provision in the law prevents the federal government from paying for long-term care in an institution. As a result, many people who experience a serious mental health crisis end up in the emergency room. According to data from the National Hospital Ambulatory Medical Care Survey, between 2001 and 2011, 6 percent of all emergency department patients had a psychiatric condition. Nearly 11 percent of those patients require transfer to another facility, but there are often no beds available. "We are the wrong site for these patients," Dr. Thomas Chun, an associate professor of emergency medicine and pediatrics at Brown University, told NPR last year. "Our crazy, chaotic environment is not a good place for them." Most hospitals are unable to take care of people for more than 72 hours, Sisti explains, so patients are sent back out into the world without adequate access to treatment. In order to bridge the gap between hospital stays and expensive community-based care options, Sisti argues for "a continuum of care that ranges from outpatient care and transitional-type housing situations to inpatient care." While President Trump and others have claimed a connection exists between mental illness and the rise in gun violence, most mental health professionals vehemently disagree. "There is no real connection between an individual with a mental health diagnosis and mass shootings. That connection according to all experts doesn't exist," says Bethany Lilly of the Bazelon Center for Mental Health Law. Sisti says the stigma around mental health is "systematized" in our health care system, more so than in the public view. Health care providers are "rather leery about these individuals because these people are, often at least according to the stereotype, high-cost patients who maybe are difficult to treat or noncompliant," he says. "I think the stigma that we should be really focused on and worried about actually emerges out of our health care system more than from the public." An earlier version of this story misquoted a 2012 report, stating there were only 14 state psychiatric beds available for 100,000 patients. It should have said 14 beds per 100,000 people.